• Network Operation Center: You will develop services and products that serve countries where infrastructure is poor and various natural disasters frequently occur. 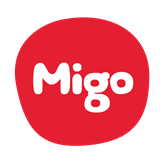 You will find innovative ways to ensure that even if our service territories goes offline, Migo Download Stations (MDS) will still be alive and serve endless joy to our customers. • MDS Factory & Provision Center: In this project, you will develop automation solutions through state-of-the-art technology such as IOT and machine learning, to monitor the whole content delivery network and drive down operation costs and improve operation efficiency everywhere in Migo fulfillment process (where we manufacture, provision and service our MDS). • Content Platform: Getting high quality videos to tens of thousands customers on a daily basis is Migo’s promise to our customers. To help us deliver this promise, you will solve complex problems around scalability to handle petabyte graded media assets. You will also continuously innovate on tools and technologies to optimize the post-production of movies and TV show and localize stories around the world for our consumers. • CI/CD System: You will be building the infrastructure to enable us to roll out new software updates quickly. This is to ensure consistent user experiences across all of our consumer devices. You will also monitor market trend closely with market research, data analytics and machine learning. In addition, you will participate in building a cloud-based automation platform to continuously integrate and test Migo’s compatibility various devices including mobile phones, tablets, TV set top boxes. BS degree in Computer Science, or software development related experience. Able to write high quality and maintainable code. 網路營運中心:你所開發的服務及產品會營運在基礎建設普遍低落且天災頻仍的地區:即使當地網路服務斷線, 仍必須確保我們的產品Migo Download Stations (MDS)能照常營運並提供良好使用者體驗. CI/CD系統: 你將透過雲端平台開發自動化系統, 透過持續整合/自動化驗證及發佈, 幫助我們能即時推出最新版本及功能並確保與各種行動裝置相容. 同時,應用機器學習, 數據分析了解市場趨勢, 以確保良好的顧客體驗. At Migo, you will be responsible for designing, building and delivering experiences to millions of consumers in emerging markets with low income and poor accessibility to alternative entertainment and education options. Our first innovative solution, MigoNet, addresses the content delivery challenge in part of world where telecom infrastructure i.e. 3G/4G/5G and fiber to home, is not widely available and affordable. MigoNet enables our customer affordable access to series and movies from their mobile phones without internet connection. We are currently operating in the Philippines and in the process of scaling this service to millions of consumers. We are searching for talented and passionate individuals to join us on this journey. Want to get notified about new jobs at Migo?